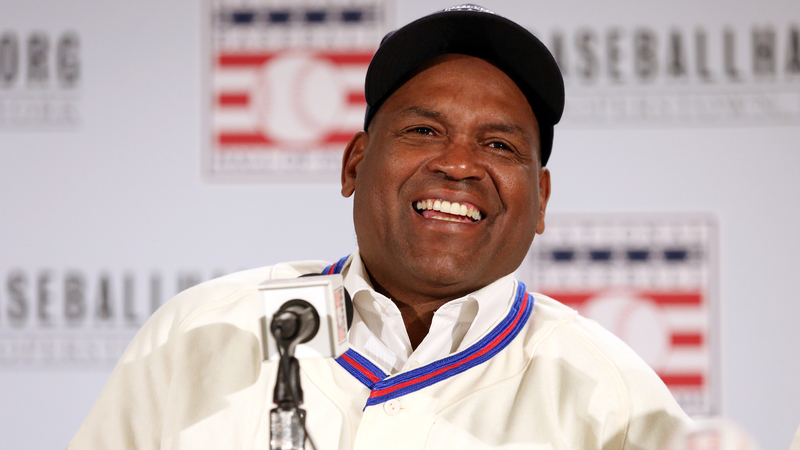 Baseball legend Tim Raines is finally getting his due, and it’s about time. The switch-hitting left fielder can now add Hall of Famer to his resume. Last week, the Baseball Writers’ Association of America announced that Raines will be inducted into the 2017 Hall of Fame class on July 30 in Cooperstown, New York, as part of the July 28-31 Hall of Fame weekend. He was voted in on his 10th and final year on the ballot, but it was worth the wait. Raines, first baseman Jeff Bagwell and catcher Ivan Rodriguez join former Atlanta Braves executive John Schuerholz and former Major League Baseball commissioner Bud Selig to make up the new inductees. Inductee Tim Raines speaks during the 2017 Baseball Hall of Fame press conference on Thursday, January 19, 2017 at the St. Regis Hotel in New York City. Raines’ career proves he is a deserving candidate and his many accomplishments have positioned him as one of the greatest players of his era. He played for six teams during his 23 years in Major League Baseball, spending 13 of them with the Montreal Expos. He made seven All-Star appearances and was All-Star MVP in 1987. His speed and tenacity in the game includes 808 stolen bases, which rank fifth in MLB history. Raines stole at least 70 bases in six straight seasons, the longest such streak in MLB history. He had 2,605 career hits. He also spent time with the Chicago White Sox and New York Yankees. Raines reached base 3,977 times in his career, 45th in MLB history. He hit .303 with runners in scoring position for his career, including 10 seasons of .300 or better. According to BaseballReference.com, Raines first played for the Expos as a 19-year-old September call-up in 1979, after a good season for the AA Memphis Chicks, with whom he played 145 games, with 90 walks, 59 steals and his first five professional home runs. In 1980, he was second baseman for the AAA Denver Bears and was named the Minor League Player of the Year by The Sporting News. He admitted to having a substance abuse problem after his first year in the major leagues in 1981. Tim Raines of the Montreal Expos bats during an MLB game versus the Chicago Cubs at Wrigley Field in Chicago, Illinois. 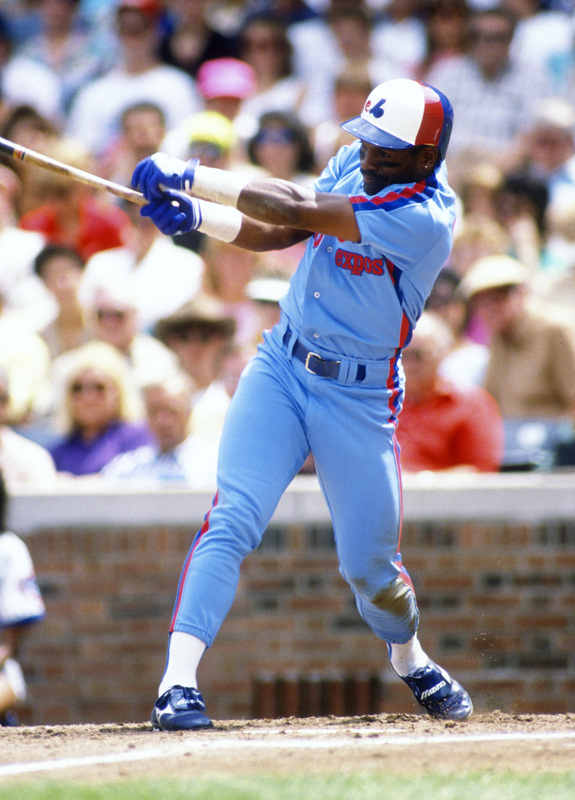 Raines played for the Expos from 1979-1990. The most undefeated moment in Raines’ career was his return to play when no one signed him as a free agent in 1987 (owners were later found guilty of collusion). His first game back with the Expos was the most memorable. He went 4-for-5 with three runs scored and hit a game-winning grand slam in the 10th inning to beat the New York Mets. He hit .330 with a career-high 18 home runs that season. After a 13-year career with the Expos, Raines moved on and had a successful stint with the White Sox, who traded him to the Yankees before the 1996 season. In three years with the Yankees, Raines won two World Series rings. Raines returned to the Expos briefly in 2001, and at the end of the season, they traded him to the Baltimore Orioles. This allowed Raines to play in the same outfield as his son, Tim Raines Jr., for two games. In the second game, Raines Sr. went 3-for-5 with a home run against the Boston Red Sox. He played one more season with the Florida Marlins before retiring. Off the field nowadays, Raines is a national spokesman for Osteo Bi-Flex, a top bone-and-joint health brand. In 2013, he began working as an outfield and base running coordinator with the Toronto Blue Jays.